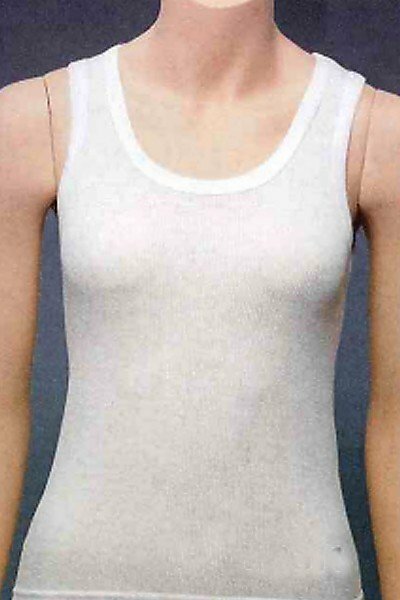 The essential sleeveless undershirt. Provides everyday gentle comfort under any garment. The two inch wide straps offer an extra benefit of staying in place to avoid slipping off shoulders. Soft 100% Cotton. White.